In the land of Kindergarten the role of the calendar in the school day has been changing over the last couple of years. There is an interesting article about how traditional calendar time in a Kindergarten or Preschool classroom may be wasted time. I have been playing with the calendar in my classroom since September and am still not happy with how we do it, right now we are using if for counting and patterning but I think I may switch things up again. I don’t concentrate on the days of the week or months of the year with my students right now, I am trying to figure out the best way to approach the topic. “Even though research shows that preschoolers’ capacities are at time underestimated, they do have limitation in their reasoning skills that affect learning. They have a limited understanding of ideas such as time, space or age, for instance, and don’t use these abstract concepts to help themselves reason unless the ideas are made real and relevant to their current lives”. This is an American publication so the students in my class fit into the categories of both preschool and kindergarten, the joy of a junior & senior kindergarten mixed class. My youngest student just turned 4 and I have a student who will be 6 in a few weeks. I can see this development in my own girls, Eileen is almost 3 1/2 and Kaitlyn will be 6 tomorrow. Eileen is learning the months of the year song at school but to her it is just a song that she sings like any other song. Kaitlyn knows all the months of the year, the order they go in (without singing), can relate them to the seasons, and can read most of them. So knowing where they are I set a goal for us – I want to see if I can get Eileen to start to understand the concept of a year and the months, and I would like Kaitlyn to be able to spell the words. Out of this came our months of the year calendar. 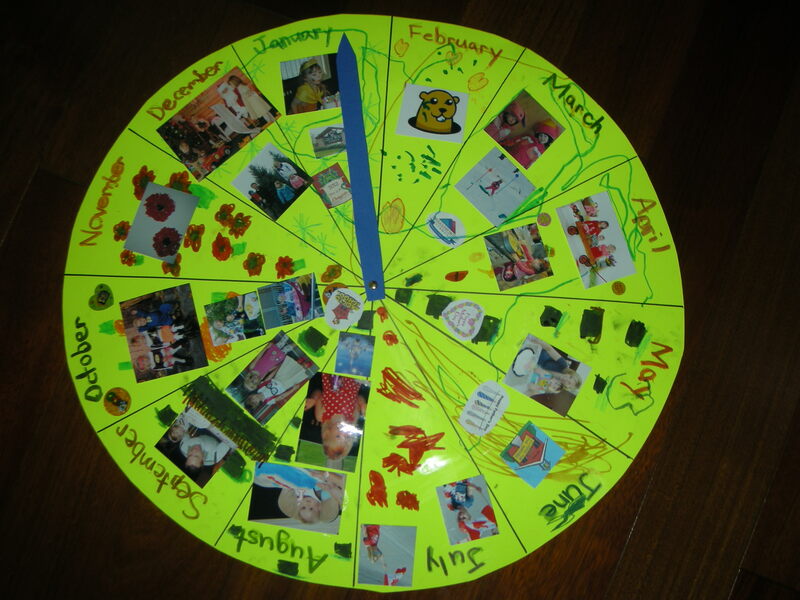 To make this calendar you will need a large piece of bristol board or other heavyweight paper, a piece of scrap heavy weight paper in a different colour, a metal fastener, pictures of family members and events, markers and glue. 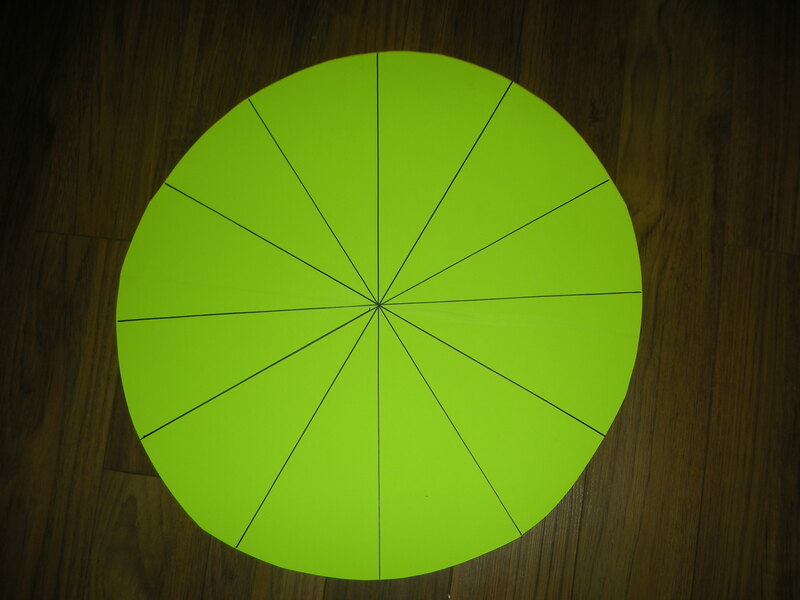 To prepare an adult needs to cut out a large circle from the bistol board and divide it into 12 slices. I went over the lines with a black sharpie to make them stand out. The girls and I then reviewed the months of the year song to remind Kaitlyn, and to make some connections for Eileen to the song she already knows. I found a version on Youtube that we watched. With their help I printed the name of each month at the top of the slices. I did it in pencil and then Kaitlyn went over them with marker. Next we brainstormed special days in each month. I wanted to make this a concrete activity and tie it to things that are important to them. For every event with I either printed out a picture on the computer or they drew their own pictures. Kaitlyn did an awesome job with her drawings and backgrounds and Eileen even got her hands in their with her own decorations. Both girls played an active role in deciding what would go on our calendar. Their selection included: birthdays (all 5 of us), holidays, trips we would take this year (Great Wolf Lodge, Skiing in Vermont & Disney World) and the start and beginning of school. The best part of this calendar is that it is personalized for our family. We hung it on the wall in our playroom and hopefully Eileen will begin to associate the different months to the events in her life. To finish off I cut out an arrow to indicate which month we are in right now and attached it with a metal fastener. The other great thing about this style of calendar is that it is continuous. It shows that after December the months start over again. If anyone makes your own wheel I would love to hear how it turns out! I’ve been using the “personal” approach by bringing it into casual conversation whenever possible, to teach my son (young 5) about time and he seems to grasp it pretty well so far. He knows the days of the week in order, and he knows which days we do particular activities. He doesn’t know all of the months in order yet, but he associates birthdays, holidays, seasons and family vacations with the correct months. He could care less about calendar time when I tried it before, but I like the idea of the continuous calendar! This is such a great activity- my daughter will be a very young kindergartener next year (just days before the cut-off). While everyone is telling me to bridge her based on her age, I think she is very socially/verbally ready (especially being one of 4 kids). 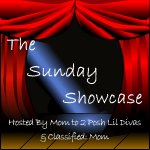 Now I am trying to get together some activities to help prepare her, and we will for sure be using this one! I love it! :) Keep the awesome ideas coming! What a great activity!! Thank you for sharing at Sharing Saturday. I love how you included the research in your post.